Central kitchen provides catering service, which requires strict stability and timeliness. 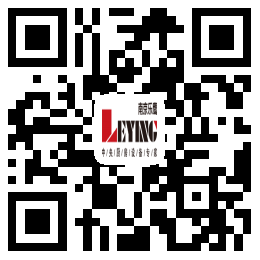 Although Leying always takes 'Do not need after-sales service' as its goal, we know that even the best project cannot guarantee the follow-up operation without any omissions, so Leying always puts the after-sales service in a very important strategic position. Not only to meet customer requirements, but also to achieve active service. 1. Quadruple supportive service system guarantees fast and efficient telephone guidance and on-site service at the first time. 2. All service person have been screened strictly, trained professionally, assessed comprehensively and competed for posts. They have professional service skills and noble professional ethics, so as to ensure the service quality of Leying. 3. Document all customer's information electronically and paper, call back regularly and visit on site, not only do a good job of service, but also do active service. Every year, special user training courses are held to ensure the use of users. 4. Hold all kinds of special user training courses every year, and continue to train the staff for customers to ensure the use of users. ★Pre-sale service: Engineering design is our company's professional manifestation, so we will provide you with free engineering survey, planning, professional kitchen equipment layout and process flow chart, and provide you with professional consulting services. ★In-sale service: We design the kitchen reasonably and comprehensively, and provide construction drawings of water, electricity, steam, gas, drainage, exhaust and air supply according to the planar layout of the kitchen. At the same time, we also provide guidance and technical advice on site installation and construction. ★After-sales service: After-sales service is our duty and responsibility. We promise that the general equipment will be repaired within 48 hours, gas equipment and mechanical equipment within 24 hours, and equipped with professional maintenance team. The warehouse is equipped with adequate maintenance accessories. If any malfunction occurs during the warranty period, we will repair it unconditionally and promptly. If necessary, we will replace it for free. Only the cost price will be charged.